The man sitting next to her — in economy class and the middle seat, no less — was Timothee Hal Chalamet: the 23-year-old Oscar nominee (for ‘Call Me by Your Name’), Frank Ocean fanboy and early adopter of the luxury fashion harness. Er, bib. 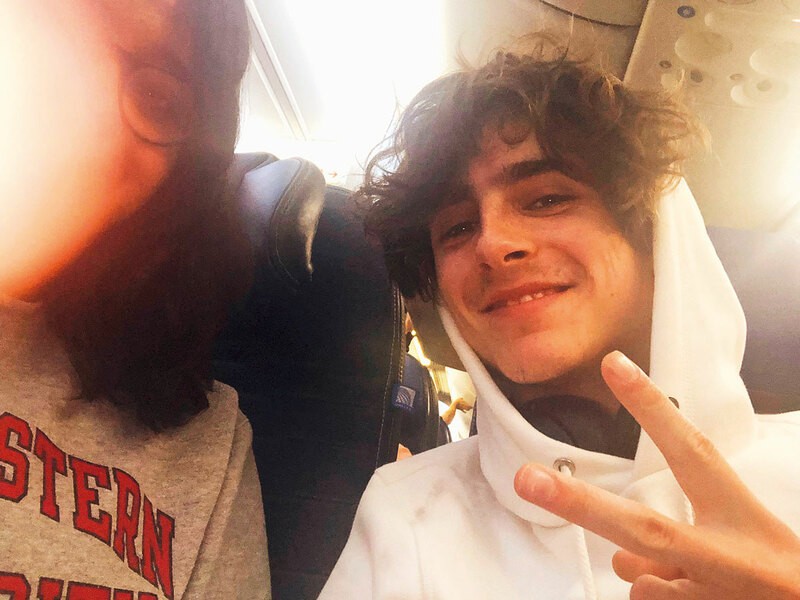 In flying coach, Chalamet joined a long list of public figures who have been noticed in the cheap seats. Prince William flew coach from Memphis, Tennessee, to Dallas in 2014 after a wedding. His brother, Harry, and Meghan, the duchess of Sussex, reportedly took up three rows with their security team when they travelled to Nice aboard British Airways last year. In 2012, Jessica Alba sat in economy on a trip from Los Angeles to New York while her two kids and their nanny were in first class, according to Radar Online. Angelina Jolie, Brad Pitt and their six children took an Air France flight from Paris to Nice in 2015, according to The Daily Mail. Politicians are often spotted on aeroplanes, too. An observer once captured a shot of Mitt Romney snoozing with his mouth open in an aisle seat. Bernie Sanders has appeared in coach enough times to spark a hashtag: #SandersOnaPlane. Though convenience might certainly be a factor in both cases, it doesn’t hurt that flying “with the people” gives a politician a relatable gleam. “When the flight landed, we were talking about his upcoming films,” Giridhar said. “He wished me luck with my career,” which is in information technology.